prabhasp » Map-a-thon Nepal: 3000 buildings mapped in an afternoon! 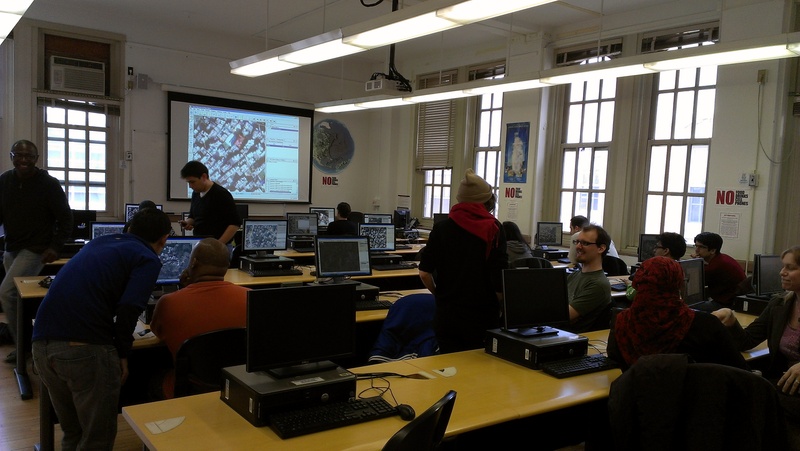 Last weekend’s Map-a-thon was a great success! 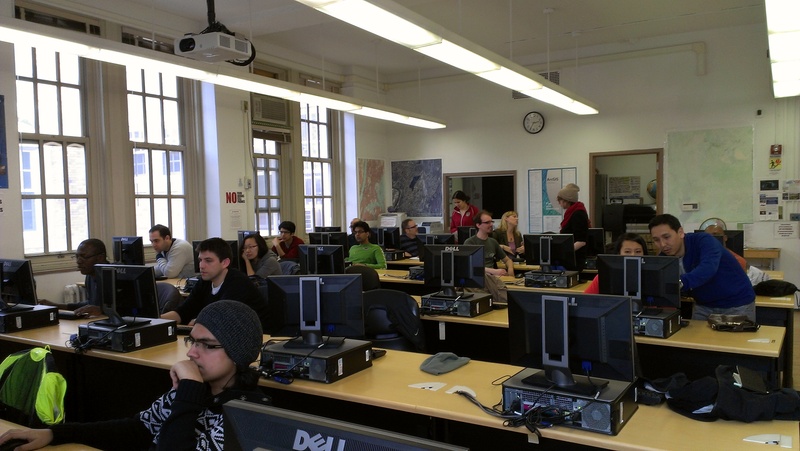 It was a absolute full house at Lehman College’s GISC Lab, with all the 20 computers in the Lab occupied over the course of the day. We had visitors from the OSM community (most of whom were curious about OSM, but hadn’t gotten hands dirty yet), from the Nepali community, and even a visitor from Israel who was on a two-week visit for Passover! The Nepali community from Queens who joined us, including Shaky Sherpa, a co-organizer. I show the group how to use JOSM. And then, stats! 19 mappers, all but two or three new to OSM, mapped 3,000 buildings in total. I don’t Alex Barth’s skills for history analysis, but I did some manual collation, and with some error, noted some 29,00+ buildings, which I’ll round up to 3,000 for brevity’s shake. mgad1 , jcarbz , soVague , pg_013 , balakdam , apwright , prabhasp , crdalton , lifewinning , ARM85 , hergu , embelous , BrianMorgan , neemaz3491 , davidjohnwhite , dawafuti , Brandon Young , Joe Blackman , dfuuty. And of course, thanks to the OSM Nepal community for inspiring us, the indomitable Shaky Sherpa for co-organizing and taking the onus of helping everyone out, that State Department for donating imagery, Lehman College and the GISc Lab for hosting us, and OpenDRI / GfDRR for their work regarding disaster resilience in Nepal.